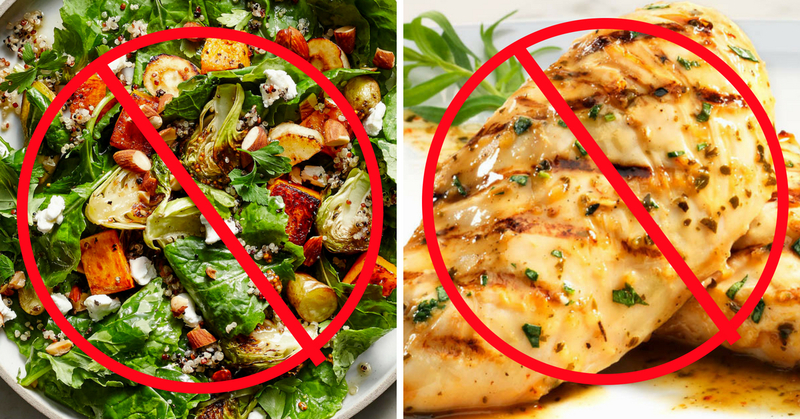 3 Reasons Why ALL Diets Fail! One of the world’s largest industries is one of today’s biggest myths! The multi-billion dollar diet industry survives off of selling people dreams, false hopes and ultimately lies. Magazines, books, television shows and celebrities hawk their unrealistic philosophies and lifestyles and sadly, millions of people cycle in and out of these fad diets. From the Atkins Diet, to the Keto Diet, to the South Beach Diet, the overwhelming majority of these short-lived health binges fail. Among many survey results, the Huffington Post cites that 90% of diets fail, yet the promises of achieving the perfect beach body and quick fix diets are irresistible to many. The entertainment and diet industries, which share deep roots, sell unrealistic body image expectations. Opening magazines and seeing actors and actresses with stick thin bodies is a subliminal message of society’s standards. It tells the masses that being stick thin is the ideal body type and anything that falls outside of this narrow image is disgusting and undesirable! If looking like a model or actor in the media is your reason for going on a diet, you are on a one way road to failure. Not even actors sustain these looks for long and most go through extreme diets and workout regiments to achieve those body types. If becoming stick thin is your only goal, then your road to health will be an up and down battle, usually resulting in ultimate failure. Once you realize that it is almost impossible to achieve and sustain this perfect image you have been sold, you will mostly likely give up. Throw away the magazines, throw away the scale and measuring tape and focus on the most important factor in life which is health! If health is the center of your nutrition and exercise lifestyle, you are on the right track. All fad diets…I repeat: ALL FAD DIETS are impossible to sustain for life. If your nutrition plans are not lifelong, what is the point in doing them at all? What is the point of going low-carb, no meat, no sugar, all veg, etc. if they are only for 3 week, 3 month or 3 year periods? Once you add those things back to your body, all the weight you lost will balloon right back! I cannot imagine anyone not having carbs for the rest of their lives. Not only is it almost impossible, but it is unhealthy. Carbs are essential for your body; they make you feel full and they give you fuel to finish the day. You feel cravings for carbs and sugar for a reason; it is because you need those things to survive! Save your self the trouble and forget the diets because you will gain the weight back. Just a rule of thumb, if your new nutrition plan is not lifelong, it is not worth it at all. Yes I said it and I will say it to the day I die–diets are unhealthy for your body. Going completely no carb or all vegetable are shocking to your system. Under-eating disrupts your body’s metabolism. Yo-yo dieting will eventually take a toll on your body. There is no study that suggests that dieters are healthier than non-dieters. People who go on fad diets are as susceptible to common ailments like diabetes and heart problems as piggy eaters are. The biggest goal for dieters, large and quick weight-loss, is not healthy either. When I say these things, I am not by any means suggesting that you should eat bad things all the time as much as you want. I a simply saying that the main reason and method that people go about weight-loss is the biggest obstacle to their goals. Before you go on a weight-loss journey, first address these few simple things. Am I doing it for the right reasons? Am I just shallow and want to look like my favorite celebrity? Am I impatient? Once you address these basic things, you are ready to go on a long and steady process of life edifying choices that will ultimately benefit your health. Nutrition and exercise are a marathon, not a race. If it takes you five years to get a proper rhythm with food and exercise, then find the patience to take that long. Your body will thank you in the long run. Next 10 Reasons Why I Love Tokyo Street Fashion!